In line with the "60K" vision to provide services that exceed the expectations of our clients, customers and as part of our plan for building a high performing culture where our people feel really Valued, Supported and Inspired, we created a bespoke training experience for our employees. 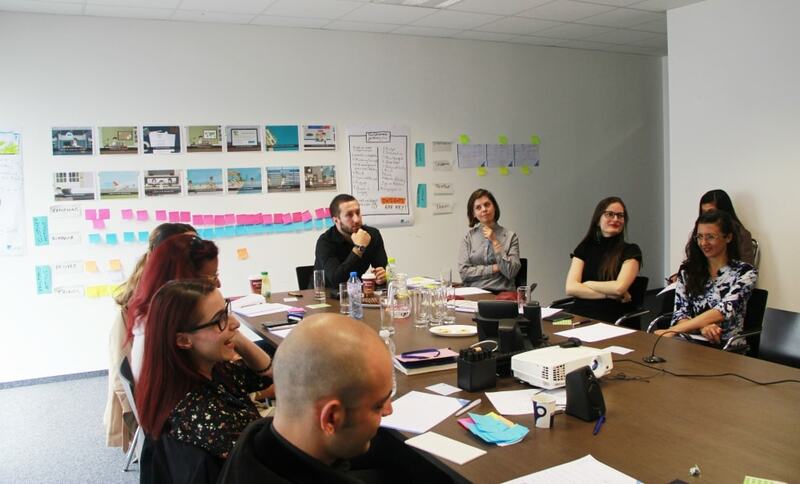 A workshop took place on the 17th of May 2018 in our Sofia office building, worthy of our brand with Michel Stevens - 100% Customer Centric Coach, Expert in Customer Experience. During the 3-hour workshop the "60K" team discovered what customer journey mapping is and how it can be used to improve the customer's experience. "60K" teamed up with GoCX who over the past year have designed customer journeys for more than 15 organizations across Europe and are considered as one of the most action-oriented customer experience agencies in Europe. Customer Experiences don't happen by magic, they are designed! They need effort and practice and require a positive attitude in everybody who is involved! "Thank you to my wonderful colleagues whose "can-do" spirit and belief in teamwork inspired me to always get things done better! Thank you Steve for creating remarkable experiences worth sharing!" said our learning and development coach Cari, who assisted in the organization. We are committed to constantly expand our horizons when it comes to new trends and methods in our field of operation. After all, investing in our employees' learning and knowledge is investing in our future!